The Family Loading add-in allows you to load families from a directory and its subdirectories. 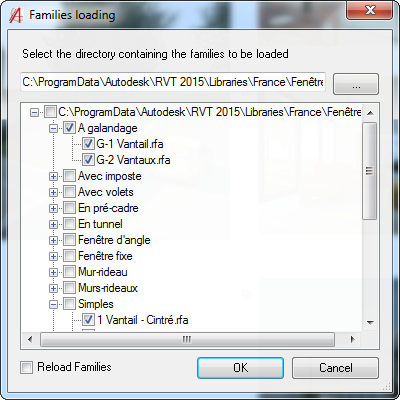 Selected families are loaded into an Autodesk® Revit® project. The plug-in is available for a 15-day trial version. During this evaluation period, you can use and test for free, without limitation, all the functionalities offered by the tool. At the end of the trial period, the application will be automatically locked. The Family Loading add-in is brought to you by AriCad.